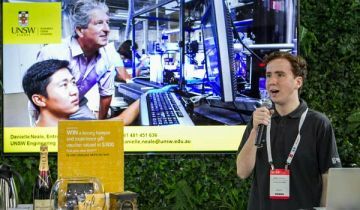 NSW stand exhibitor TechConnect Global and StartUp Zone exhibitor Arludo were featured in presentations on their technologies for the first afternoon of CeBIT Australia. TechConnect Global is an incubator program operating out of the University of NSW that supports SMEs and startup entrepreneurs with access to world class research and facilities, a co-working space, and matched funding of up to $15,000 to bring innovative ideas to market. On display at the the TechConnect Global pod was an autonomous 3D mapping drone that slashes surveying times from weeks to hours and has the potential to save lives and cut costs in many industries, as well as assist in disaster-recovery efforts. UNSW Engineering researchers and Linke & Linke Surveys have partnered to develop the Unmanned Aerial Vehicle (UAV) using spinning Light Detection and Ranging (LiDAR) technology that delivers fast and accurate 3D maps of targeted areas and features. Weighing about 12 kilograms, the small UAV can travel for up to 18 minutes above any terrain to deliver data from 30,000 reference points per second in real time. 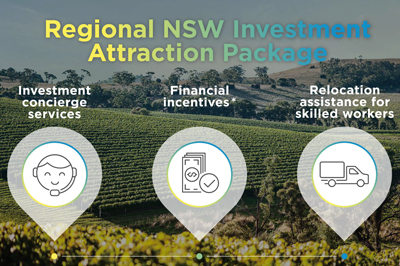 The partnership recently received a $15,000 grant through TechConnect, which is funded by the NSW Department of Industry’s $12 million Boosting Business Innovation Program. The UAV is still at the prototype stage, though the partnership team can already see many applications beyond the construction industry. One is asset mapping – being able to assess with centimetre accuracy where specific features or items might be, such as an energy company auditing the position of its powerlines. Another is in the mining industry. Also attracting attention was StartUp Zone company Arludo of Botany which is empowering teachers by creating interactive and engaging STEM games that excite students about learning by treating them like scientists. The company aims to become a global leader in applying creative technology to learning. Arludo has been assisted to develop its technology with a $15,000 Minimum VIable Product grant from Jobs for NSW. Arludo is creating a library of educational games that teachers can visit to select the games and tools they require to teach their lessons. Each of the games are independent from one another, making them simple to use, but coupling games together creates a powerful tool that allows teachers insight into how their students are thinking and which students are struggling with which topics. Along with a unique mix of developer, programmers, and award winning researchers and educators, Arludo is developing connections with expert researchers from all over the world. All Arludo games are free for anyone anywhere to use and only require a mobile phone or tablet. Basic analytics are provided for free to all teachers. Teachers can pay for upgraded analytics that show teachers how students are thinking, where students have trouble, and how teachers can improve their teaching. A subscription also provides teachers with powerful visualisations that allow teachers to explain the topics they are trying to teach. As well as the Women in Technology Panel, the first afternoon at CeBIT also featured an expert CIO panel on delivering organisational goals. It focused on CIOs accelerating business growth and innovation to reshape digital organisations, insights into tech trends and disruptive opportunities, and influencing business direction and managing changing dynamics. Other afternoon highlights included a session by Eugene Kaspersky of Kasperky Labs about ‘threat landscapes’ in technology and what Australian can expect in the future; Daniel Newman of Futurum on digital transformation, and a closing plenary by author and technology entrepreneur Naomi Simpson. 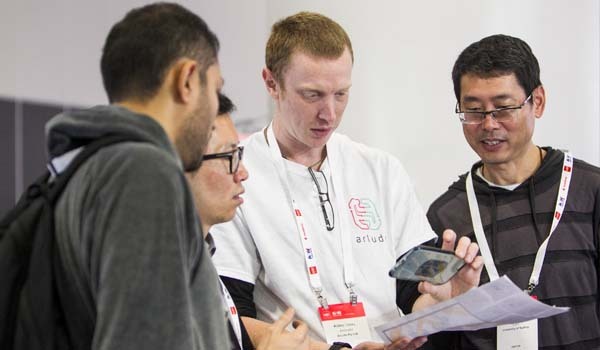 The NSW Government is the Official Partner for CeBIT Australia and, together with Jobs for NSW, is using the three day event to promote NSW as Australia's leading technology and startup business and investment location.